-VIP Camping, located behind the main arena and for those who want Private Camping, Private Loos, Free showers and access to the backstage bar. - More entertainment on Sunday. - Friday day tickets. Welcoming day visitors to enter the show between 13.00-21.00 and stay to the end of the evening entertainment. It is essential that you book a pitch pass along with the adult/child tickets you need for the weekend. This helps us to effectively calculate the amount of space available on site. Pitch sizes are approximately 7x6m. This is enough space for a van and large awning/tent/caravan. If you are not bringing a large awning/tent/caravan you can bring a maximum of two vehicles. If you are bringing two vehicles you MUST arrive together. If you cannot arrive together the second car will be asked to park in the car park. This is to ensure we know how many vehicles are in the campsite in line with local authority guidelines. Please note that we do not mark out individual pitches in general and family camping fields, please be considerate of our pitch size guidelines and do not unnecessarily take up more room than you need. 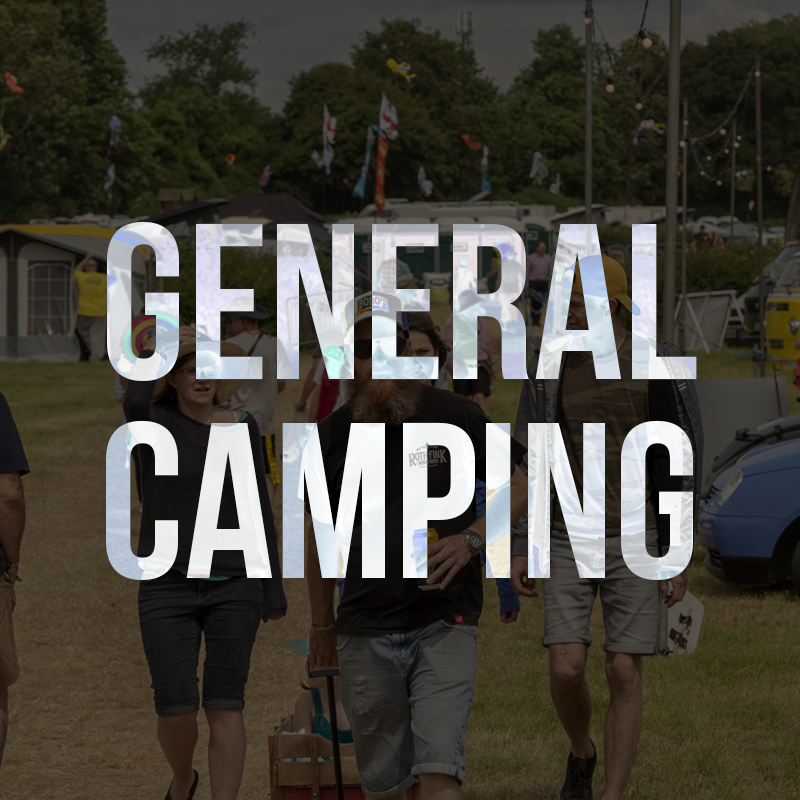 Scroll down for more info on General Camping - Family Camping - Club Camping - Vip Camping and more. Please note ~ You DO NOT need to purchase the additional Motorhome Pass if you have a Volkswagen Coach Built Motorhome, Gypsie, Crafter, Transporter Van (anything VW). The prices stated above do not include booking fees. The family camping area is situated further from the Show Field to ensure you can escape the hustle and bustle to some peace and quiet. The music curfew in this area of the campsite is strictly 10pm. New for this year we are introducing an opportunity to be our special guests at Bristol Volksfest. 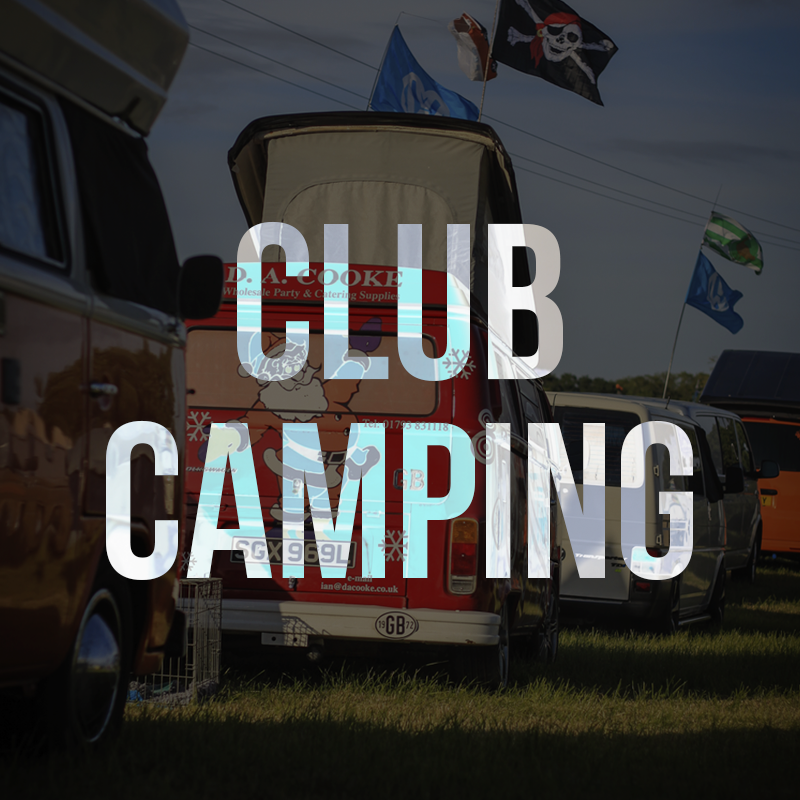 With your own entrance and exit to the event in to a spacious private camping area - access to the backstage bar with comfy sofas and DJs playing all day and night. Priority access in to all the venues across the site. Discount on show merchandise. Private toilets and free showers. Also have a free Drink on us. Bargain. To make your VIP camping even more special why not get yourself a Bell Tent with Tinkerbell Tent Hire. The Bell tents will be set up ready for you on arrival so no need to worry about pitching up and taking down after the festivities. Included in the tents are 2 double airbeds, cosy duvets and fluffy pillows, rugs, low tables, solar lights and bunting all personalised with your names for check in! Weekend Hire is £200. Please note that this does not include entry to Bristol Volksfest. Tickets for the event must be purchased separately. If you have other commitments and can’t make it for the weekend, worry not, you can still visit the show for a day. Day entry is available on Friday, Saturday and Sunday. Please see below for entry times. Please Note. Entry to the site outside of these times is not permitted. For the first time we will be welcoming day visitors to enter the show between 13.00-21.00 and stay to the end of the evening entertainment. Tickets are available online and in advance only. Obviously camping is not available with Friday day tickets (entry to the campsite will not be permitted either), but there’s a load to see and do. Come and check out the Classic and Modern VW displays, Ken Fox’s World famous Wall of Death, Back To The Future 1955 display area with period cars and music, vintage fairground rides, four individually themed bars, trade and festival village, international food court, fun sideshows and a crazy golf putting green…to name but a few. There is a separate entrance and car park for day visitors with entry and access only to the trade and entertainment arena. Strictly no entry to the campsites and club field. Terms & Conditions for Friday visitors. Please note these are in addition to our normal Booking Conditions. Persons under the age of 18 are not permitted without a parent/carer. Tickets are only available in advance. Prices are £15 tier one, £17 tier two (+booking fees). Friday day tickets can use the car park, free of charge. Entrants are not permitted to bring bags, rucksacks, carrier bags on site (with the exception of small clutch handbag). No alcohol to be brought into the event. No entry to the weekend camping areas. No camping in the car park and other unauthorised areas.